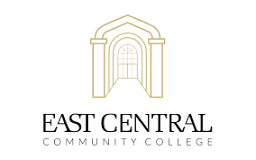 East Central Community College in Decatur will again serve as the host site for the annual Mississippi Association of Community and Junior Colleges All-Star Basketball Games. This year’s event is set for Friday, April 15. The women’s contest begins at 5 p.m. and will be followed by the men’s matchup at the Brackeen-Wood Gym. Members of the South Division women’s squad are Kelley Allen and Alexis Collins, both of Copiah-Lincoln; Alexia McDonald and Kalybriah Haskin, both of East Central; Annessia Durham, Hinds; Wendion Bibbins and Aliyah Bell, both of Jones; Maia McCulum, Meridian; Markeisha Watson, Mississippi Gulf Coast; Shaniqua Magee, Pearl River; and Gabby Cortez and Teshia Jones, both of Southwest. Alternates are Tytiana Hall of Copiah-Lincoln and Johnta’ Hughes of East Central. The South Division men’s team includes Donte Watson and Darius Kennedy, both of Copiah-Lincoln; Ravion Henry and Prince McDaniel, both of East Central; Corey McLaurin, Hinds; Andrew Riley and Christian Robertson, both of Jones; Ken’Darrius Hamilton, Meridian; Anfernee Hampton and Deshawn Jones, both of Mississippi Gulf Coast; Dontellius Ross, Pearl River; and Lafayette Rutledge, Southwest. Alternates are Andre Johnson of Jones and Lederrius Simmons of Southwest. Coaches of Hinds Community College will serve as head coaches of the South Division teams. Members of the North Division women’s team include Eugenia Gilliam, Coahoma; Brianna Williams, Northwest; Alontra Tucker and Leysha Mays, both of Itawamba; Dashiyah Agnew and Bridgejae Patterson, both of Northeast; Aja Williams, Tiffany Jones and Minyone Hill, all of Holmes; Ki-Ki Patterson and Tianna Germain, both of East Mississippi; and Racquel Harper, Mississippi Delta. Alternates include Cortice Golden of Holmes and Camry Jones of East Mississippi. North Division men’s squad includes Da’Quan Forrest, Coahoma; Tyrin Jones and Mark Partee, both of Northwest; Austin Timms and Lakee Westbrook, both of Itawamba; Jack Nichols and Raheem Sorrell, both of Northeast; Cedric Harper and D’Angelo Richardson, both of Holmes; Juan Davis, East Mississippi; and Dantaveous Crawford and Travon Harper, both of Mississippi Delta. Alternates are Desmin Harris of Northeast and Lewis Freeman of Northwest. Coaches of East Mississippi Community College will serve as head coaches of the North Division teams.